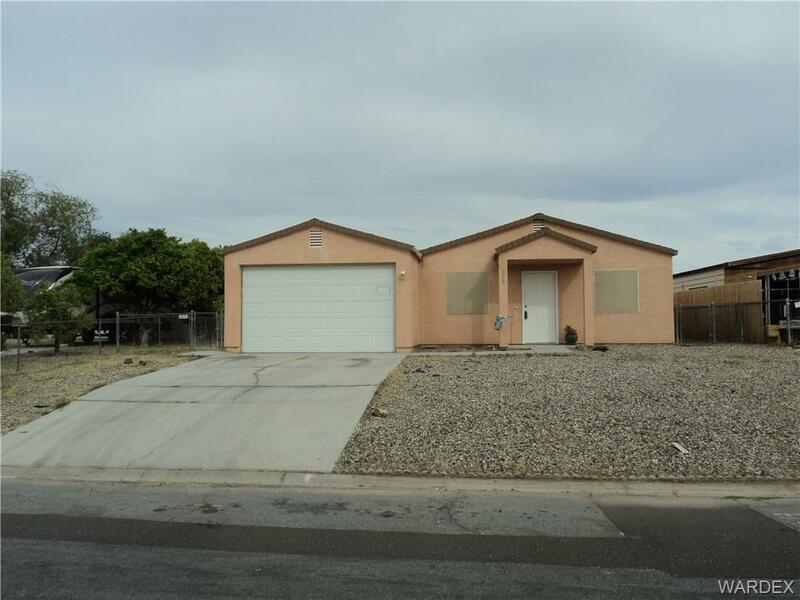 Don't miss out on this move in ready steel framed adorable 2 bdrm 2 bath home with big fenced back yard, 2 car garage and covered patio. Home is centrally located to the Colorado River, shopping, medical facilities and night life. Interior has been painted, new carpet, new microwave, ceiling fans. lights and window coverings, includes refrigerator. Back covered patio has easy access off garage. Front & back yard are an empty canvas to make your own. This was a rental property that has been cleaned up and ready to rent, this could easily rent for $750 - $850, it's an awesome investment opportunity or a great home to live in. Neighbors have an abundance of oranges on their orange trees to share!